· Anything else that has to be done to move them to customer status. Here’s a sales maxim: Selling is a numbers game. Even though there are a thousand things that could prevent a sale from being completed, it’s still your job as a small business owner to close enough sales to keep your doors open. Enter Blasingame’s Law of Sales Pipelines. Click on image to watch with Flash. Don’t have Flash? Click here to watch. Selling is a numbers game. Do you know how to manage your sales to plan future revenue? Watch as Jim explains the sales pipeline and how to use it to forecast sales, revenue and cash flow. 1. There are hundreds, nay thousands, of things that can go bump in the night and cause a fully qualified prospect to not complete a transaction, at least not on your preferred timeframe. 2. Regardless of all of the bumps on the path to a signed contract, it’s still your job to produce enough sales revenue to stay in business. A pipeline is a planning concept that helps managers and salespeople forecast sales for any given period: week, month, quarter or year. Think of your sales pipeline as overhead plumbing with faucets positioned at those calendar intervals, as your business model requires. From these faucets you draw the mother’s milk of any business – sales revenue. Pipeline faucets have special screens that only allow a sale to pass through. So into the pipeline you load only those prospects of which you have asked enough questions to determine that, in a reasonable amount of time, what they want and your ability to deliver will combine to produce a faucet-conforming sale. Until then, a prospect is either on track to become a sale or a forecasting mistake to be removed. As you record a prospect’s entry into the pipeline you must include what you know about their stage of decision-making, plus what you have to do to move them to customer status. Identifying what’s left to be done with each prospect – demo, trial, proposal, final close, etc. – will help you forecast which faucet – this week, next month, etc. – you can expect a sale to pour out of. At this point, let’s refer to The Bard. In Act I, Scene III, of Hamlet, arguably Shakespeare’s most important work, Pelonius famously says, “This above all, to thine own self be true.” If you aren’t completely honest about a prospect’s progress to customerhood, you’re only setting yourself up for an unacceptable flow of sales as you turn on future faucets. How much and how often you draw revenue from your sales pipeline depends on the twin standards of sales success: quantity and quality. 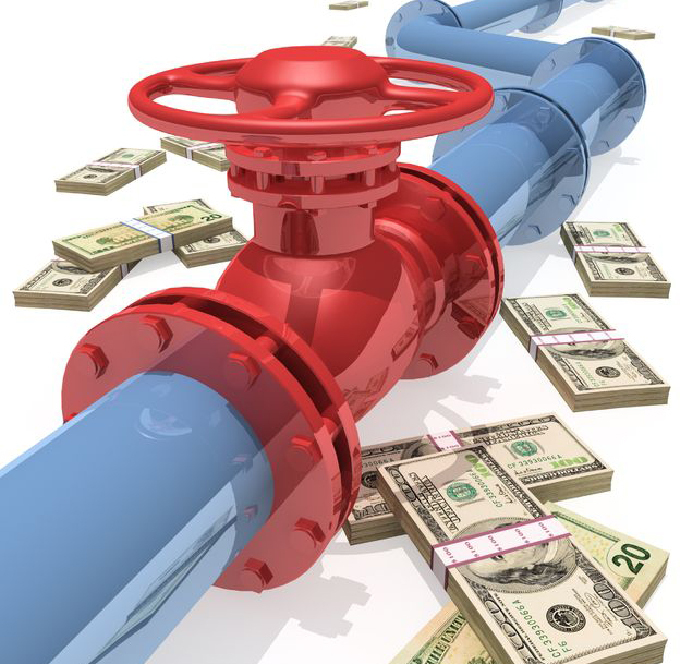 You must load the pipeline with enough prospects on Monday (quantity) to have enough qualified prospects to close on Wednesday (quality) so that after all those “bumps” happen you can still draw the sales you need from your pipeline on Friday (success). Recently, on my radio program, The Small Business Advocate Show, Skip Miller and I talk about the pipeline development process. Skip is President and founder of M3 Learning, and author of a number of books on sales and sales management. He is also a long-time member of my Brain Trust. Take a few minutes to listen my visit with Skip and leave your comments on how you’re building and loading your sales pipeline. Listen Live! Download, Too!